This is a 17" Resistor Drape Necklace. There are 27 dangly strands using 1/2, 1/4 and 1/8 watt electrical resistors which are RoHS compliant (no lead). 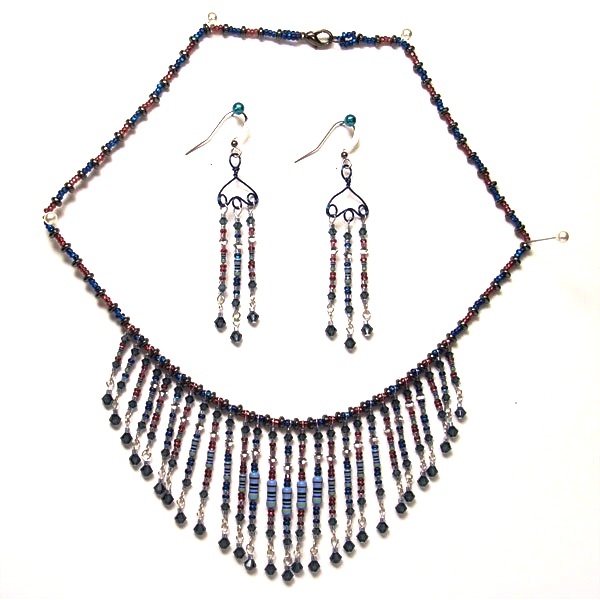 There are Montana Blue and Silver Austrian Crystal Beads, seed beads and Hematite beads helping to complete the design. 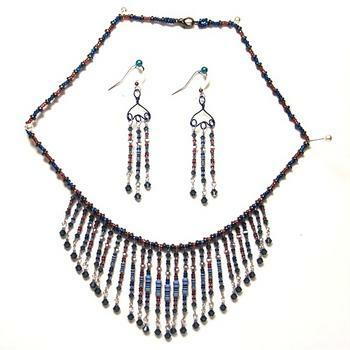 The earrings have matching strands of beads and resistors. A Gun Metal Lobster Claw Completes the Necklace Design. The Earrings are 2 3/8" long and also have Matching Gun Metal Shepherds Hooks.